You know those old James Bond movies where he's wearing one of those impossibly cool, impossibly clever watches of the future? Well, this is it. 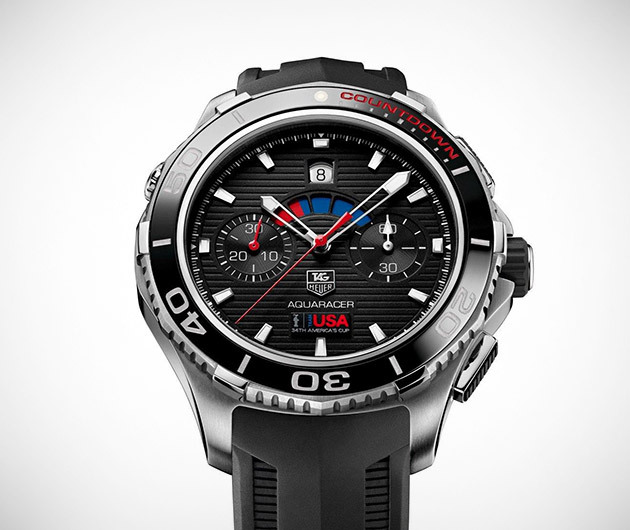 The Tag Heuer Aquaracer 500m Limited Edition is forged from brushed stainless steel and black ceramic, sports an automatic helium valve, chronograph minutes counter and is water resistant to a third of a mile. Around the bezel are silver lacquered numerals, and the luminescent diamond shaped hands are visible in any conditions — even murky, shark infested seas.